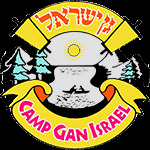 Camp Gan Israel believes that every Jewish child deserves a Jewish education. For this reason, the CGI's long standing policy is never to turn down a child in need of a Jewish camping experience. The CGI scholarship fund enables dozens of children to experience the Summer of a lifetime. Last year our scholarship fund allocated close to $20,000 in full and part camp scholarships helping the children of our community. We appreciate your support in this special Mitzvah.